Adding color to your shoe has been a big wedding trend for the past several years, but the newest addition to the trend watch is ruffling our feathers. 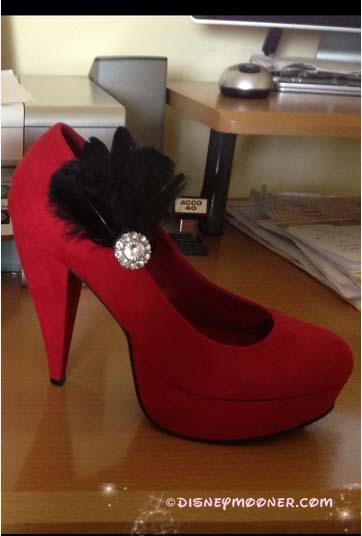 Adding a touch of color and uniqueness to your shoes could be as simple as adding a feather or jeweled clip. But what if you already have the perfect pair of shoes? What about the bride who is budget conscious and doesn’t want to spend a fortune on a pair of shoes with feathers she might only wear once? 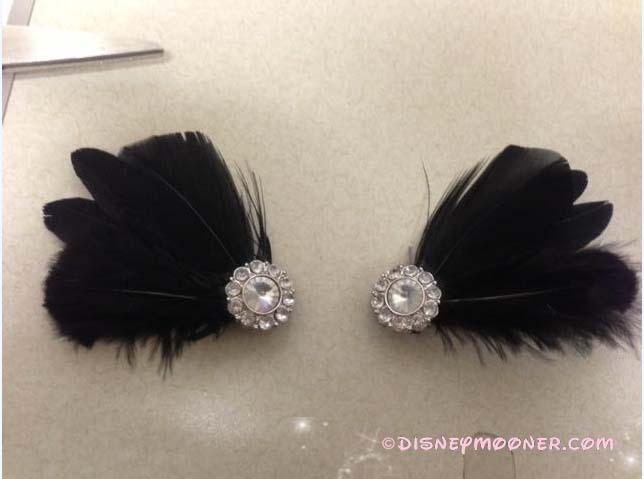 Leave it to a Disneymooners to come up with a great do-it-yourself idea: Making your own feather clip – fast, cheap and easy. This tutorial was written by one of our awesome planning brides: Karla (kvanessa) who is planning a wedding at the Sea Breeze Point wedding for September. I took a pair of pliers and removed the little loop on the back of the buttons. 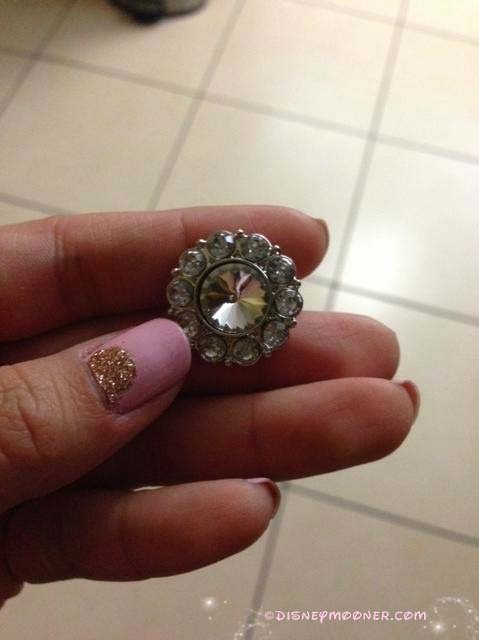 Try to remove it so the back is as flat as possible. 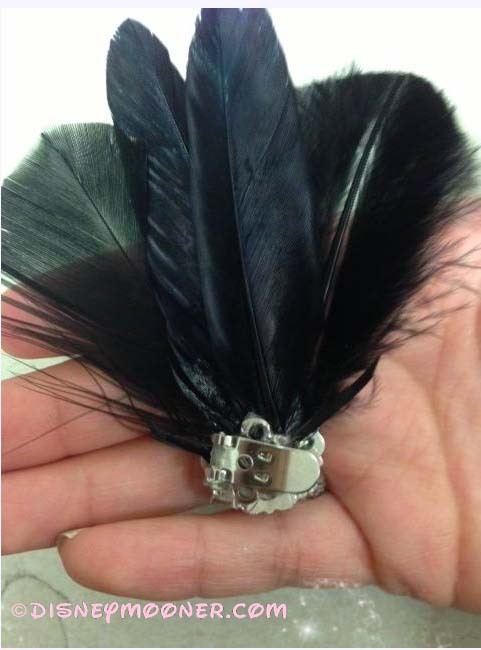 This will make it easier to glue the feathers as well as the clip. 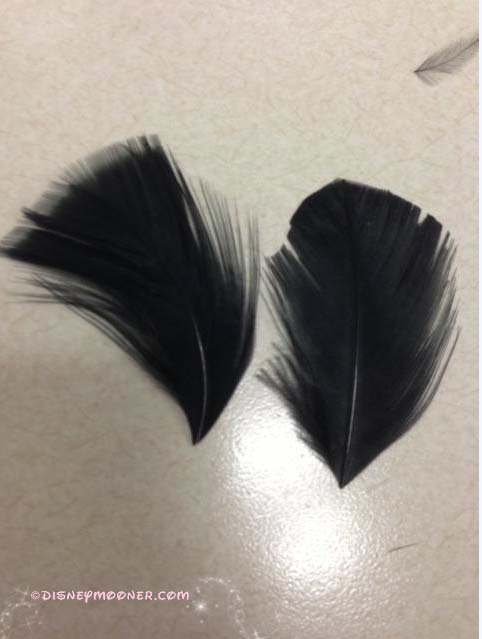 I purchased two different styles of feathers. One style was like goose type feathers and I honestly can’t remember which was the other. After the coupons, each package came out to a dollar and some change. Each pack brought around 15+ feathers. 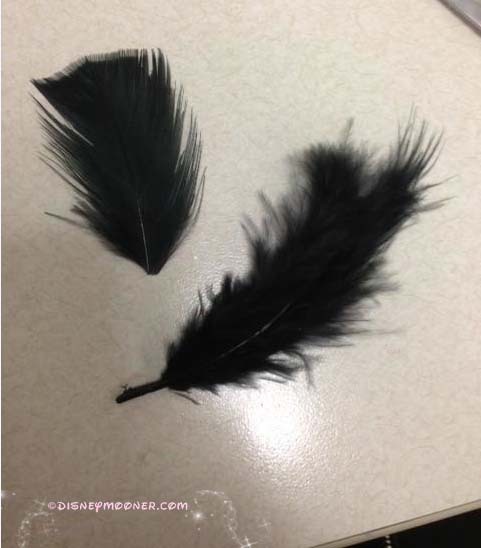 If you look closely, you can see that the top part of the feather is more tamed I guess you can say while the bottom part is really fluffy and looks like ostrich feathers so I cut them where these two parts meet to use them separately. Now the shapes of them were kinda funny to me so I shaped each one with the scissors to look a little more round at the top. I didn’t take a picture of the bottom part of the feather already trimmed but I’m sure you get the point. Now to put everything together! 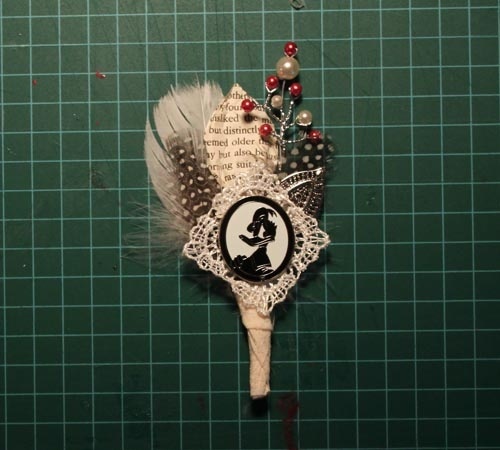 You can just arrange the feathers to your liking, however you prefer for them to look once glued. I did this several times, rearranging the order I was going to glue them on and the position before actually gluing them. I first wanted to use crazy glue to put these together just because a glue gun can get kind of thick and I didn’t want it to be too bulky for when it was time to add the clip but this was not working at all! It was taking to long to set and the feather would move around. Plus after drying, it got kind of got flaky. 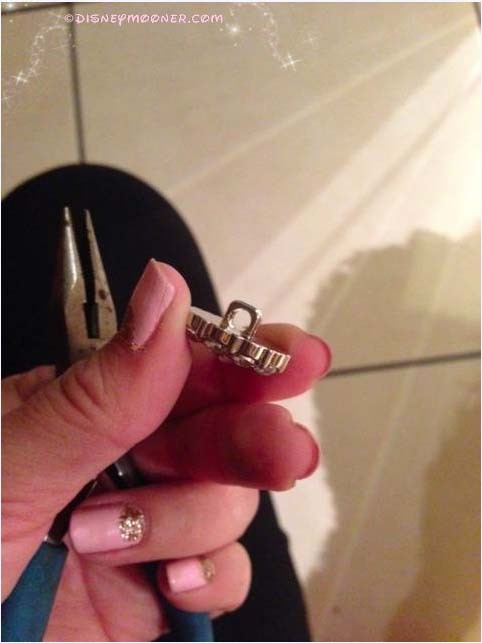 Just make sure to keep the glue from the glue gun as thin as possible. 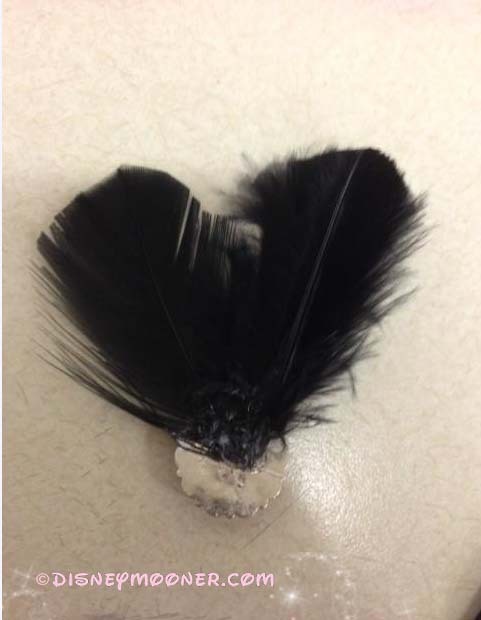 This is the bottom part of the feather added on. 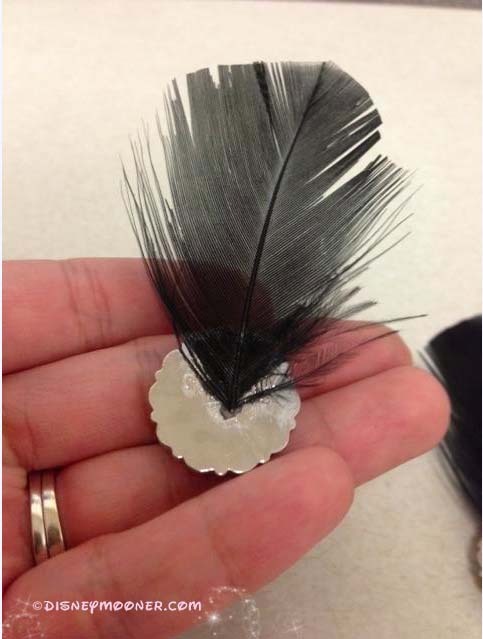 Now the rooster feathers are a little long so I just cut them shorter, just enough so that when placed they would be a little longer than the other two that were applied to the button. Of course this is all preference of how you want the clip to look like. 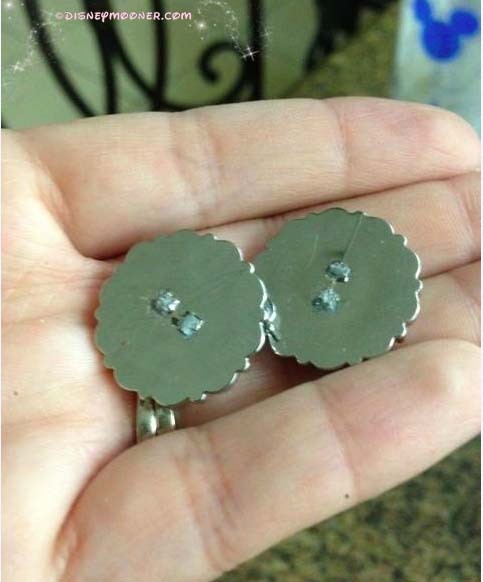 Then you just want to add the clip onto the back. Before you actually glue, determine in what direction you want the entire thing on the shoe so you know in what direction to glue the clip on. I know that back of it looks a little bulky and not so neat but you can’t tell at all when clipped to the shoe and the clip on great. Thank you Karla for a lovely blog post – The Disneymooner community can not wait to see your entire bridal look come together in September. Love this DIY? 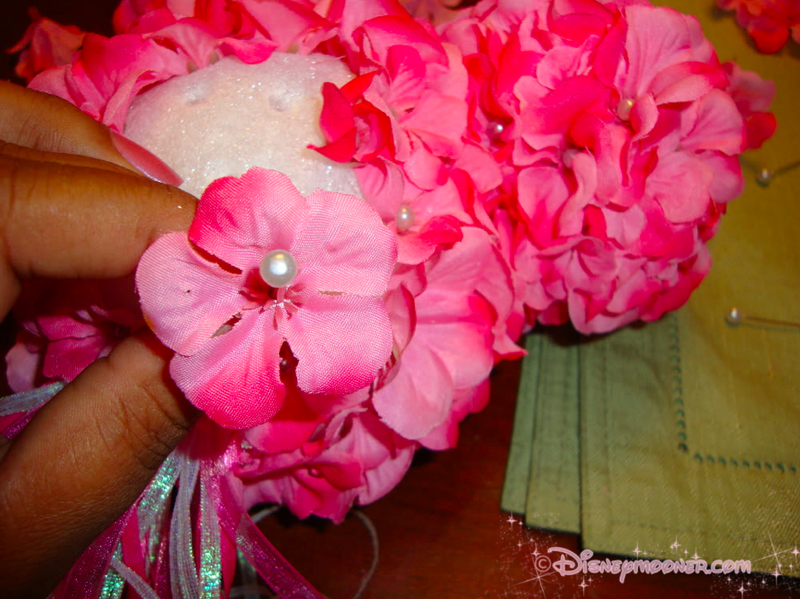 please join the Disneymooner.com forums to find countless more DIY ideas our brides have created. 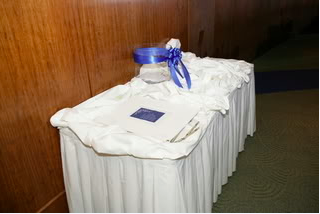 Recently, one of your planning Disneyland Brides asked about card boxes on our forum. This tiny detail can often be overlooked when planning a destination wedding. Disney Weddings offers several options for brides and grooms to choose from. 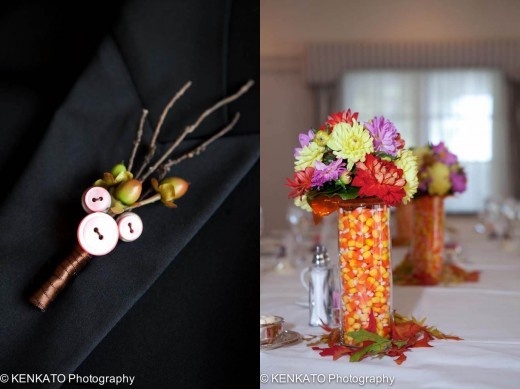 Some brides get super creative and take the do-it-yourself route with these. Others will rent or borrow one from Disney Fairytale Weddings Department. Here are some fun card box ideas we love. 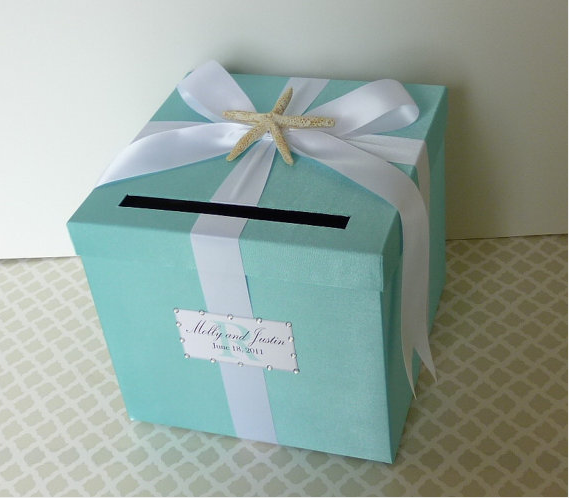 The traditional box can really be brought to life by a little color – Tiffany Blue anyone? 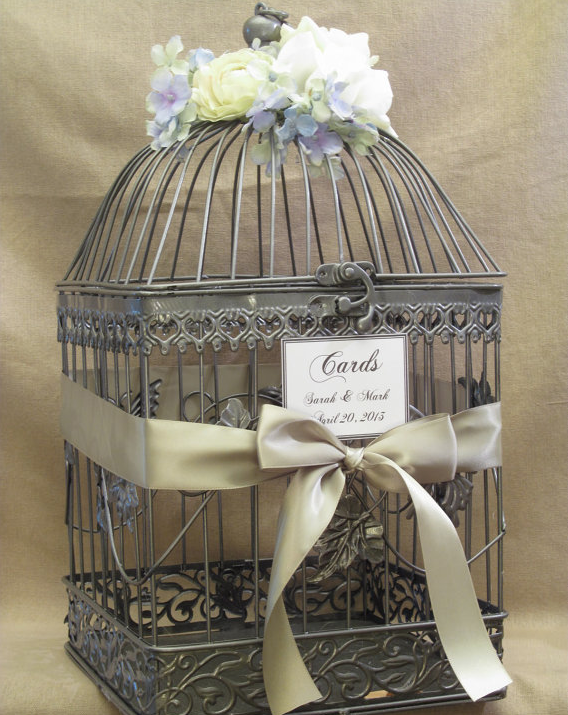 One of the latest trends is the birdcage as a card box. These can be customized with your wedding colors and monogram. How about an actual mailbox? 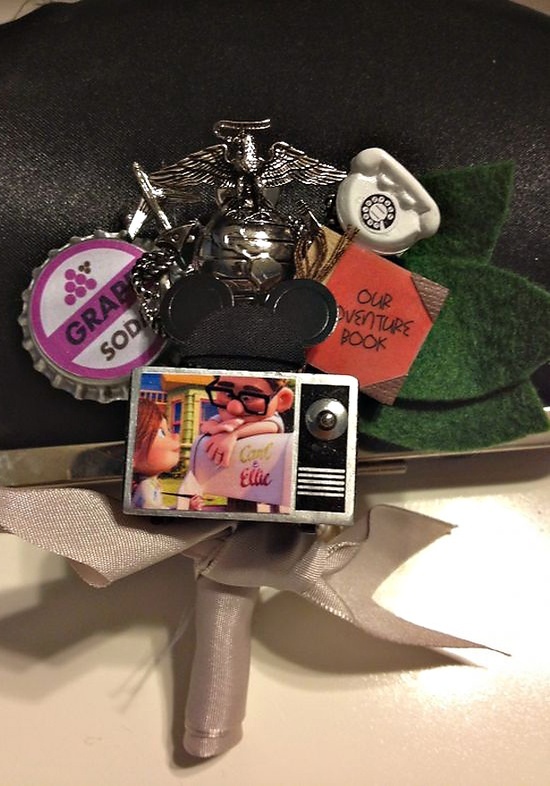 We love this Disney themed mailbox giving a big nod to the movie UP. 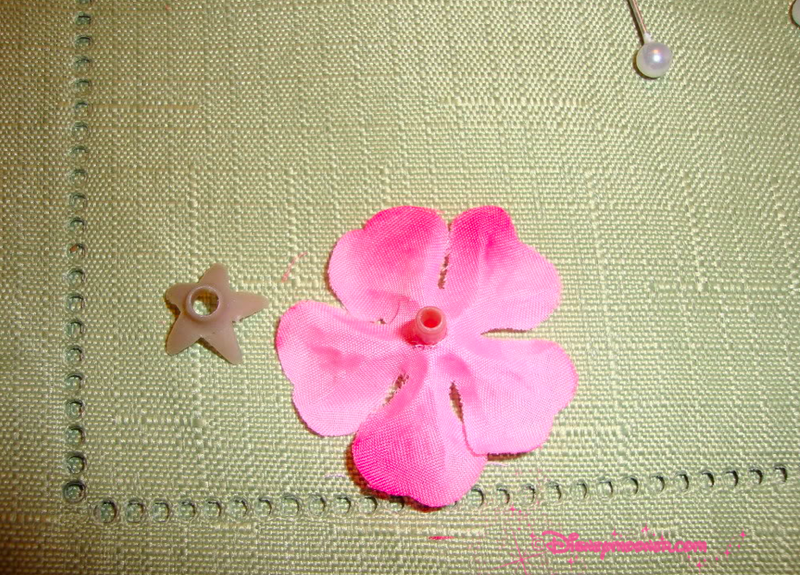 Adorable and easy to make. Disney World offers a few various card box options. This was a card box holder used at my 2006 Living Seas Wedding. We wanted something subtle and to be honest, forgot about it until the last-minute. So we rented this large glass vase and had them tie a ribbon around it in our colors. We loved it. 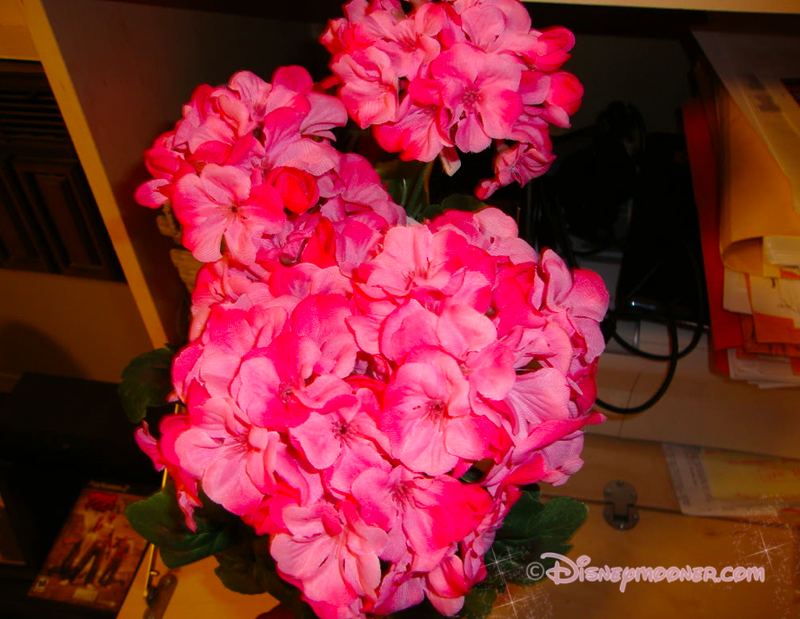 Join the discussion on the Disneymooner forums and share what you used or plan on using. Personalized wedding hangers have been around for a while now and there appears to be no end in sight. Not surprising since these wonderful little extras make for some wonderful photos and memories. Want to make it even more magical? Have personalized hangers made for your bridesmaids as well. 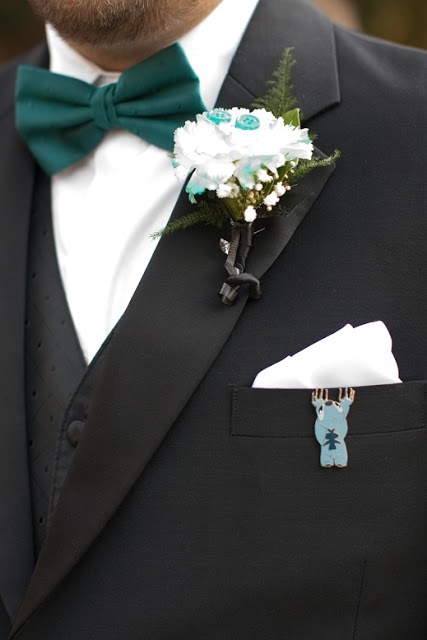 Check out Etsy for hundreds more gorgeous, handcrafted wedding hangers. Feeling inspired to create your own? There’s some great DIY tutorials out there for you. 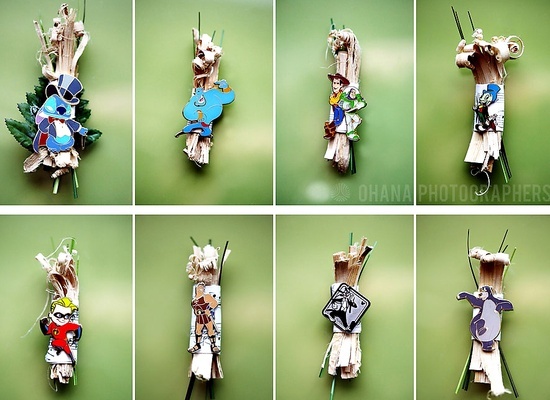 Pick up some cheap wooden hangers and get creative. In a world of endless paint colors, ribbon, crystals, and letter decals, you’re only limited to your imagination. What your thoughts on this trend? 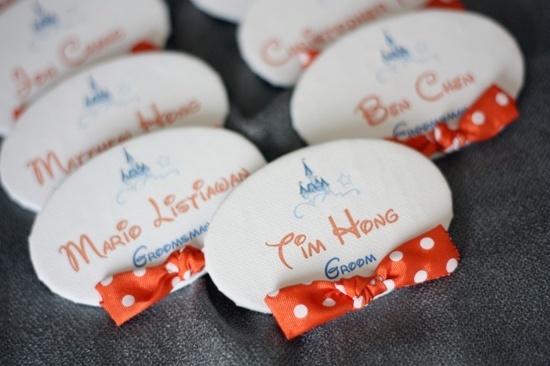 Planning a Disney Fairytale Wedding? Be sure to join us at the Disneymooners to see what wonderful ideas our brides have come up with for their big Disney day! 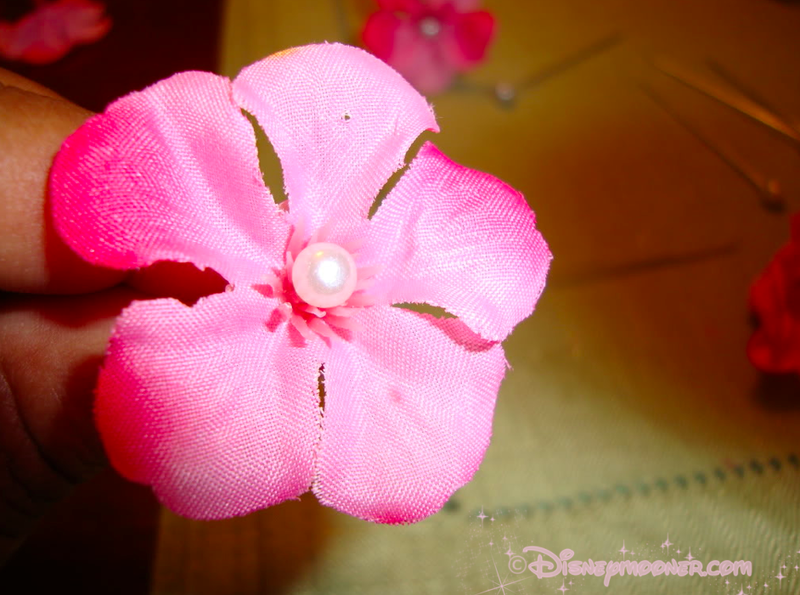 The following Do-It-Yourself post was written by Disneymooner Lianne. 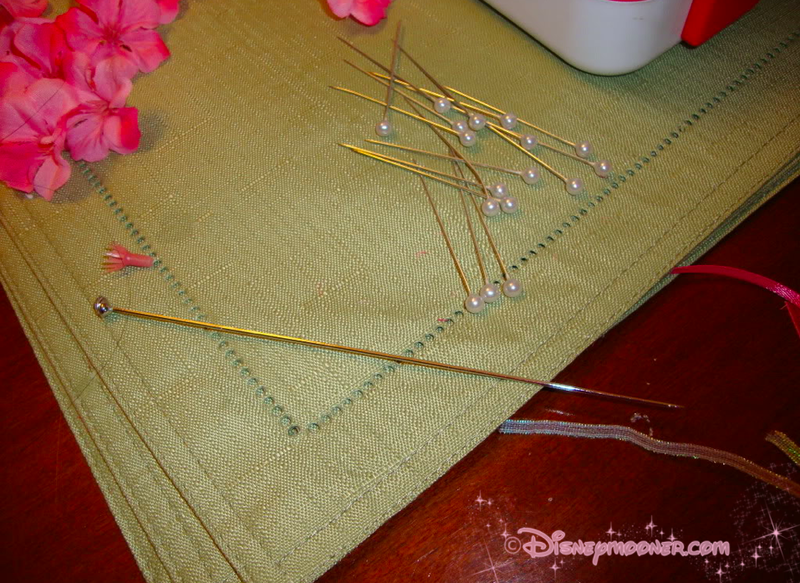 Lianne made her own Mickey wands for her wedding and shared this easy to follow how to guide. 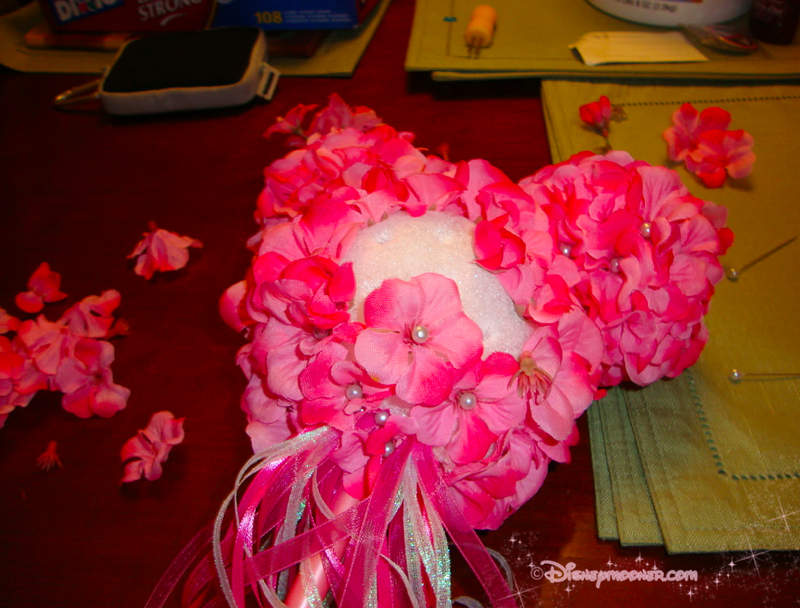 On the Disneymooner Private forums you can find many other ways to save for your wedding. the smaller ones (ears) were in a pack of six, and were about $3 for the pack. 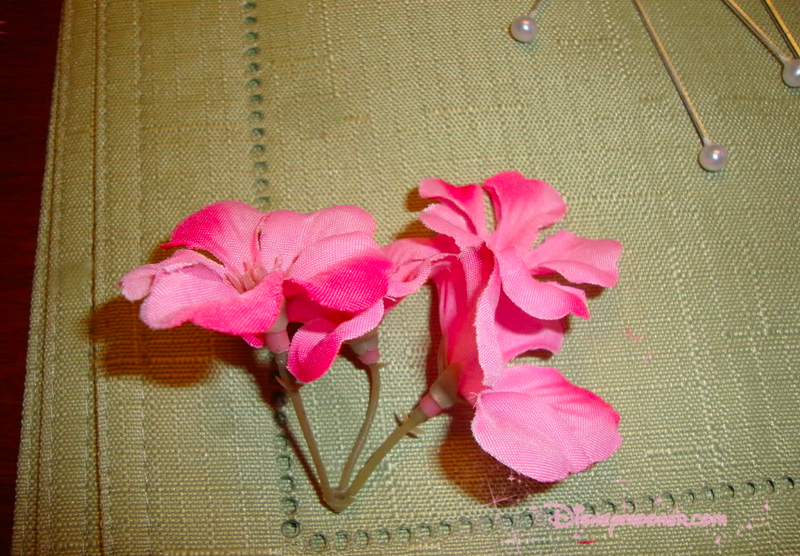 The flowers were silk pink hydrangeas from Michaels the “Summer Blends” collection (or something like that). 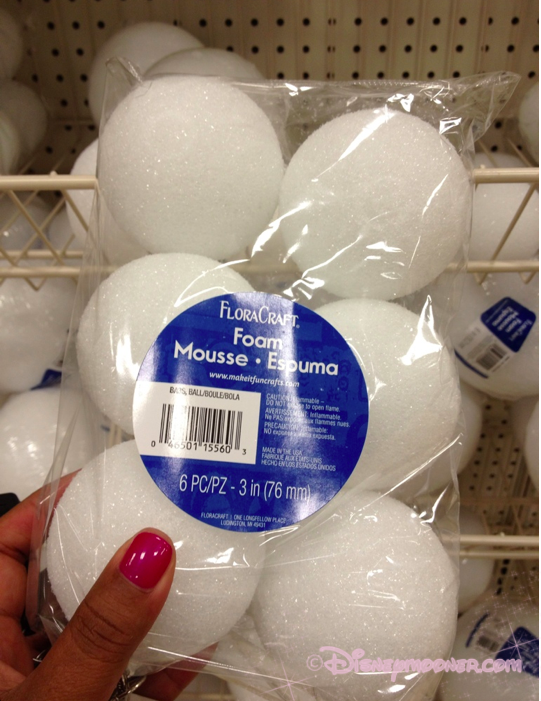 They were $5.99 for a bunch, and you need about two bunches to make them. 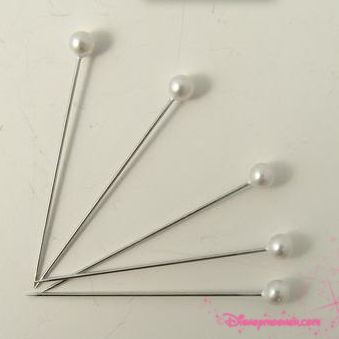 pearl corsage push pins ($5.99 for 150) – in the bridal section at Michaels and two longer push pins (can’t remember what they are called, but they may be hair accessories, there were four in the pack and they’re about 4-5″ long) to secure the ears onto the “face”. 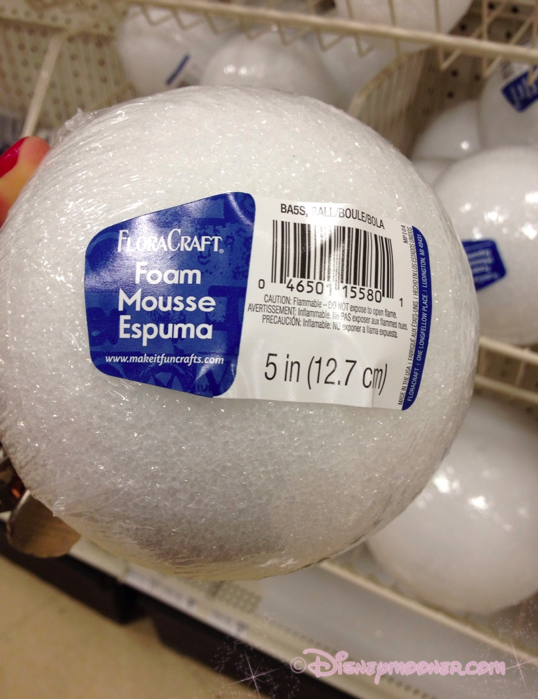 I stuck the knitting needle into the center of largest styrofoam ball to make the “wand” part. 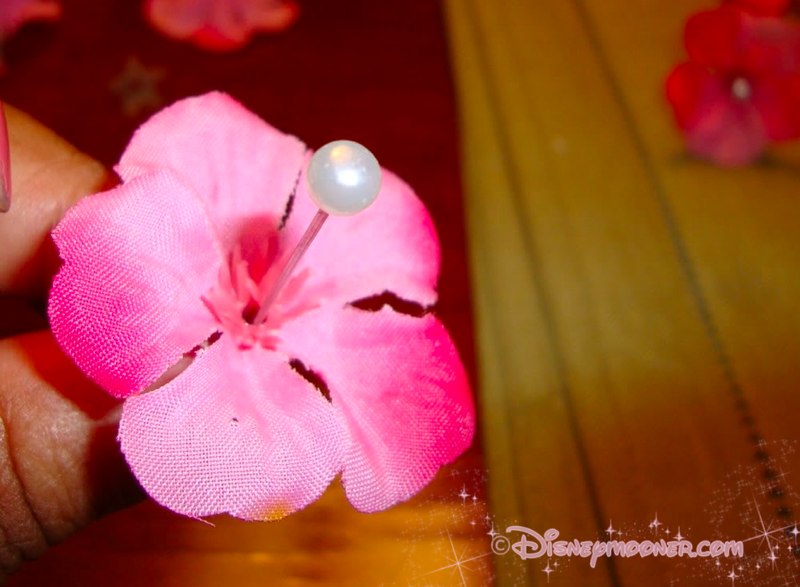 and secured each flower with the pearl push pins onto the styrofoam balls, and kept going until all sections were covered. I then secure the ears onto the face with the longer push pins. I then tried ribbons around the knitting needles. It was really quite simple (I’m not the most creative person). So if I can do it, ANYONE can!!! It took me about two hours to make… Hope this helps! 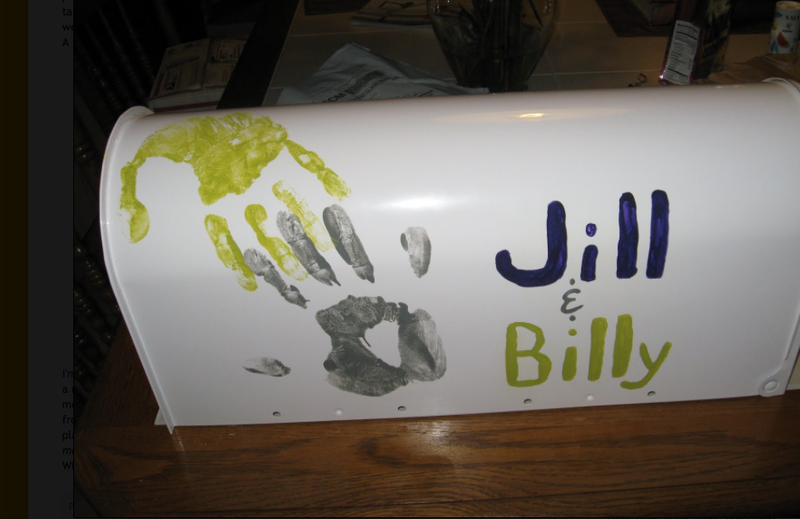 For more Do-It-Yourself projects please join our private forums.